We will be starting off exactly where the DB left off, which I think is the middle of the summer where we have it to Snow/Moss. Players will be able to play their old characters right from where the DB left off. As such we will be sticking with 1E— no hybrid rules. When CtL 2e is out we’ll look at if we want to convert over. I will not have the time to run two plots a week like last time— so while I still have plans to keep it story driven, there may be changes in the way that works. Other things will come up as they come up. Shout out to @Lithium for being willing to give us the space! What was Darkwater? I'm guessing it doesn't refer to the 90s cartoon. Out of curiosity, are you still working on that Los Angeles game at all? This might be enough to convince me to try WoD again. Hmmm. @rucket with the closing of Mechanipus and my new work schedule— no. @Caryatid come play Coin Cats with me. Darkwater will be back soonish. Working on getting @Cobaltasaurus shell and ftp access working on her shard. Not sure why it's /not/ working yet and waiting to hear back from the host. 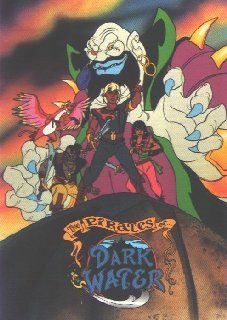 I will always upvote a Pirates of Darkwater reference. Represent! As soon as the game is running people will be able to log in an play, honestly. We're picking up right where we left off. I'll have some code stuff I'll want to work on, and etc. And we're having to do, uh, a kinda hack at the moment while we wait for tech support, so there'll be some downtime in the future but it won't be TOO BAD. I haven't talked to Cobalt about it yet, so she might veto it, but since I'll probably be the one doing them: 1 free respecc for all! (With the caveat that they may be slow during the week and most likely done on Sundays for sure, depending on how many come in. It's been years though, dusting off characters is nice and all, but maybe something doesn't fit well now like it did before? This is not a use any time offer: if you want a respecc you need to put the job in within 2 weeks of your logging back in. EVERYONE PANIC IT IS UP AND RUNNING OMG. pulsar.dune.net 8000 -- when i'm done being distracted i'll be setting us up a wikidot wiki until we can get SQL and get a media wiki one set up. @cobaltasaurus You are welcome :) Enjoy! darkwater.wikidot.com -- there's a very simple chartemplate up, and some instructions on how to set it up, and set up Gwen's page as an example. I'll work on putting game info onto the wiki after work tomorrow night. People are Rping. We've had scenes! Things might be a bit dusty around the place, but we're up and running and ready to go. ETA: Because dusty and duty are by no means the same thing! I have already begun screwing with people's minds. :D Please come back and play. I'll torture you too!